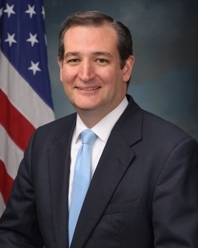 The Ted Cruz campaign delivered on its promise to win the Texas primary on Tuesday and then exceeded ‘expectations’ by also coming in first place in the neighboring state of Oklahoma and the Alaska caucuses. With four victories now under his belt, Cruz will attempt to use his comparatively successful electoral track record against the remaining non-Trump candidates (Marco Rubio, John Kasich, Ben Carson) in an attempt to expedite their withdrawal from the race. To be sure, the Texas U.S. Senator’s victory in his home state – and the most delegate rich state on the primary calendar thus far – was crucial for the Cruz campaign, and avoided an embarrassment that might have pressured him to withdraw after Super Tuesday. While Cruz escaped that unenviable situation, his victory in Texas is decidedly shy of impressive. In fact, by one measure, it is the least impressive home state primary victory in party history. A Smart Politics analysis finds that Ted Cruz’s 43.8 percent showing in Texas marks the lowest support ever recorded by a Republican presidential candidate in a home state victory out of the more than five-dozen campaigns to win their home state since 1912. Over the last 104 years since the debut of presidential primaries, Republican White House hopefuls have successfully carried their home state in a presidential primary 69 times. Cruz’s new low water mark ends the aforementioned former Minnesota Governor Harold Stassen’s 64-year plurality record when he won just 44.4 percent of the vote during the Gopher State’s controversial and politically messy 1952 primary. Minnesota had restored its presidential primary law in 1949 after a 1917 repeal in hopes of bolstering Stassen’s national profile in the 1952 cycle. Stassen, whose candidacy at the time of the primary was seen as a stalking horse for Eisenhower, nonetheless nearly lost the state to a write-in campaign for the NATO Supreme Commander whose name had been removed from the ballot in a complicated series of events recently chronicled by Smart Politics. The average home-state showing by Republican candidates who carried their home state over the last 100+ years has been 78.5 percent, with 46 of these 61 GOPers winning at least 60 percent of the vote. In the early primary era, several Republicans won their home states uncontested: Charles Fairbanks of Indiana (1916), Albert Cummins of Iowa (1916), Calvin Coolidge of Massachusetts (1924), Herbert Hoover of California (1928, 1932), R.N. Davis of West Virginia (1940), Earl Warren of California (1944, 1948), Herbert Hitchcock of South Dakota (1948), John Bricker of Ohio (1956), Richard Nixon of California (1960), James Rhodes of Ohio (1964, 1968), and Ronald Reagan of California (1968). However, not every presidential candidate wins their home state in the first instance. One record Cruz did not set on Tuesday is the narrowest home state victory margin in Republican Party history. That mark still belongs to Henry Ford with his 3.0-point victory over U.S. Senator William Alden Smith in 1916. Cruz beat Trump by 17 points in the Lone Star State. 11 Comments on "Cruz Records Weakest Home State GOP Primary Victory in Party History"
1. Cruz ought to be grateful that, at least, HE (unlike a certain 2012 contender) was not browbeaten or heckled into releasing his “long-form birth certificate”. 2. Also, since he has clearly demonstrated his “broad appeal” in both petrol-rich (TX, OK, AK) and -poor (IA, a fairly close second in MN) venues, Cruz ought to take it all the way to the Cleveland Convention, no? 3. I am curious as to how Wendell Willkie (in 1940) and Barry Goldwater fared in their home-state contests against intraparty competition; this cycle’s Trump seems to be playing the Willkie part, just as Cruz the Goldwater role – or so say at least a few pundits and historians. Willkie did not compete in the 1940 primary (he rose to national prominence a month later in May). As for Goldwater in 1964, Arizona did not hold a primary that cycle. It was a huge disappointment for Cruz, as was South Carolina – he expected to sweep SC and Super Tuesday, but we Evangelicals don’t like liars! Little Marco should have trouble in Florida after what he did to Floridians with the H-1B visas and lying to us when he ran for Senate. Trump2016! Don’t like liars? Good thing you’re not voting for Trump. https://www.youtube.com/watch?v=yX5dBzxKNOw Good thing you don’t speak for all evangelicals. Sad. Liar? and what might that lie be? Can you say “open primary”? Trump will win closed primaries too. Cruz can’t win a number of states that are more moderate. I think the impression the author intends to leave is a little unfair. There are several factors, some mentioned in the comments above, that figure into the percentages won by the candidates. This Trump movement we’re witnessing makes it difficult trying to compare apples to apples. When all’s taken into consideration, Ted fared pretty well.